A very sad phenomenon exists today, which is that the left conflates ‘women’s rights’ with killing unborn children in the womb. The two are in fact mutually exclusive, because there are no other rights without the right to life. That is true for unborn baby girls and unborn baby boys. 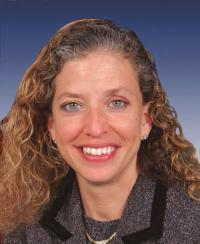 Rep. Debbie Wasserman Schultz (D-FL)Heritage ActionScorecard Rep. Debbie Wasserman Schultz House Democrat Average See Full Scorecard15%, a leftist poster-child, wished Roe v. Wade a happy 41st “birthday” today because of her “commitment to protecting women’s rights,” while women and men, young and old, marched on the National Mall toward the Supreme Court to defend life. Has she stopped to think of the 55 million American babies who were aborted since Roe v. Wade, who will never be able to celebrate their birthday? Abortion does nothing to advance the rights of women; it hurts them. The 7.046 billion people on Earth were all born of women. Debbie was one of them. If Debbie really cared about women, she would stop advocating murdering them in the womb in their earliest stages of development. There are better, healthier, more American ways to advance the rights of women — and men (sorry, liberals, men are people too, with rights!) — and children, and families. I looked around our country and realized that our culture had erected a temple to self-realization and sexual liberation, and therefore abortion has to be available, because unwanted children will continue to be conceived, no matter how many “free” contraceptives are provided. Nothing restricts personal liberty like a pregnancy and parenthood. As a doctor I can tell you that no scientist questions the fact that a zygote, embryo, fetus and infant are all human beings in different stages of development. (emphasis added) Those who believe in unrestricted abortion license do not acknowledge the conflicting right of the little human being, who might be unwanted, but is just as valuable and beautiful as a wanted child. The left does not respect the right to life, our most fundamental right. Instead, they manufacture artificial rights like the “right” of a woman to kill her unborn child. That’s why, as pro-life conservatives, we must take a bold stand and speak for the unborn, whose voices cannot yet be heard. LifeNews Note: Reprinted with permission from the Heritage Foundation.